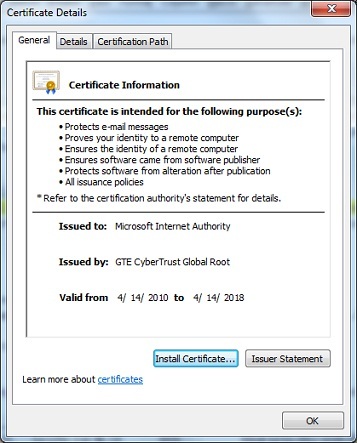 How to view details of a certificate displayed in by the Microsoft "certutil -viewstore" command? 2. 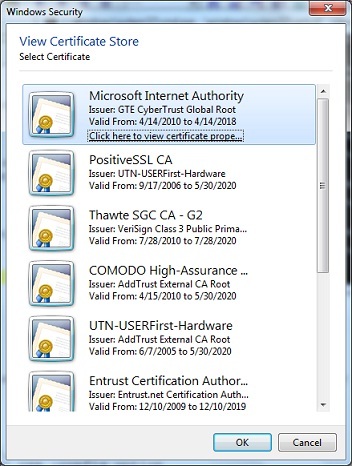 Click on the first certificate "Microsoft Internet Authority" in the certificate list displayed by above command. A hyper link "Click here to view certificate prope..." shows up below the certificate name.  2015-05-17 FYIcenter.com: @elizabeth, you should consider to reinstall it.